Easy On The Eye have curated a modest display of walking picture images and cards which opened at Easter 2011. The idea for this display arose after contacting East Riding of Yorkshire Council, and curators at Sewerby Hall and Gardens, who were helpful in furnishing me with information and images they held regarding the Snaps company and William Foster-Brigham, who operated in Bridlington, for the upcoming book. The exhibition is now confirmed as running until August 3rd 2011. The images on display are largely from the Easy On The Eye collection of Walking Pictures. Radio 4’s Making History programme did a piece about the exhibition and walking pictures in their May 31 broadcast. Check the Walking Pictures page on this site for more on the book. 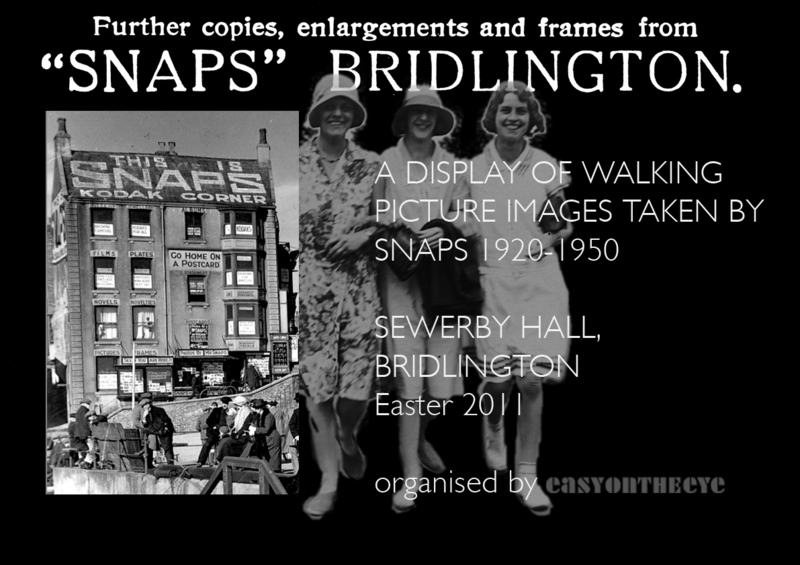 For more on the exhibition visit Snaps Walking Pictures.